Craftsmanship is an important aspect of fine art that Fiidaa Art recognises and includes when curating art collections. Not only can handcrafted works be aesthetically pleasing, they also reveal deep cultural and historical ties to their origins. Could you elaborate on the songket weaving process? There are numerous identifiable steps in the songket weaving process. From designing patterns and thread dyeing to warping, winding and weaving of the fabric, it is a long and tedious process that demands precision, concentration and attention to detail each step of the way. Menyongket, or supplementary weft weaving, is the most intricate step that incorporates the metallic threads onto the fabric to create patterns. Following an identified pattern, the weaver has to first determine, count, and select the number of ends for the weft float to pass over three, five, or seven ends of warp yarns. This is a painstakingly time-consuming process as each row has to be counted. Thereafter, the warp threads have to be picked out by a lidi, or a fine bamboo stick, according to the pattern. Only Lurex metallic yarns are used to ensure quality, durability and consistency. What led you to start Tanoti? 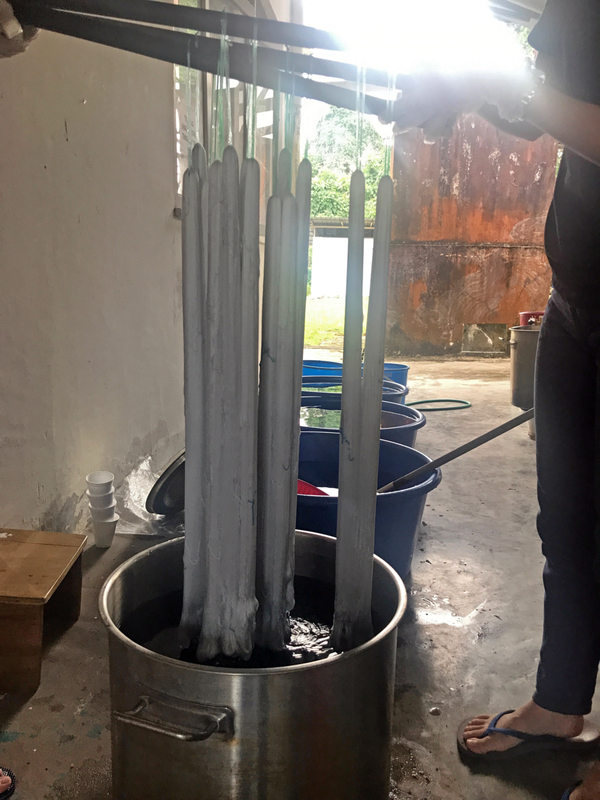 Tanoti started from being a Kuching-based workshop set up in 2008 under the Yayasan Tuanku Nur Zahirah (a foundation set up by the then Queen of Malaysia, HRH Tuanku Nur Zahirah) to preserve the craft of songket weaving. When her term as the country's Queen ended, the foundation had also decided to discontinue funding of this workshop. When we heard of this impending closure, we were moved to establish a company to absorb all the artisans so that they can continue practising the skill which they had acquired. We started Tanoti out of a sense of urgency - there was very little time to structure a plan - we incorporated the company in March, and the artisans officially started at Tanoti in May 2012. Today, Tanoti continues to pursue the core objectives of heritage craft preservation, women empowerment and rural community building. Could you describe who these weavers are? Our weavers are young Sarawakian ladies. Many of them had no experience in this craft when they joined the community. 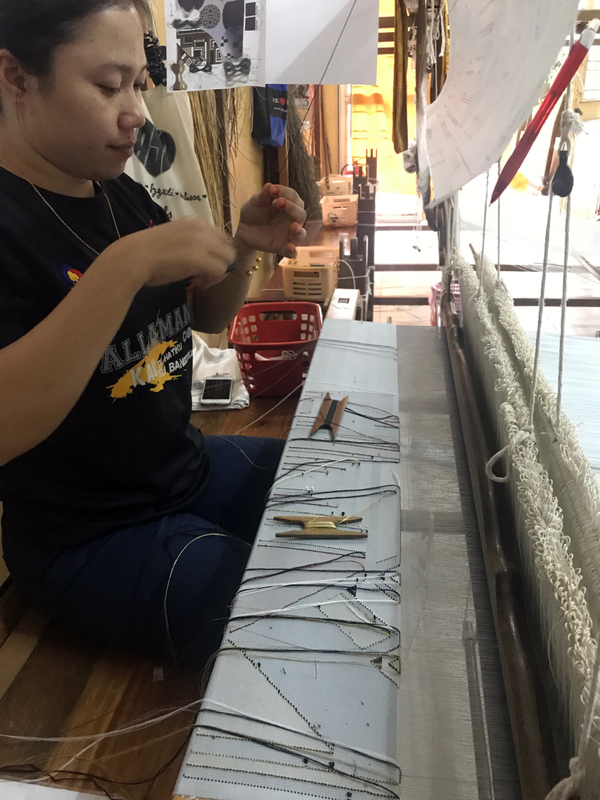 We train them under a mentor-mentee programme so that they can learn and acquire the necessary skills for them to be proficient in songket weaving. What makes songket appealing as an artwork? All our handwoven songket come with a story – the weaver had dedicated a significant amount of time, effort and thought into producing it. A songket textile is recognised and appreciated as a work of art as well as of craftsmanship as it tells a story much deeper than seen at first glance. How has songket evolved from being a luxury textile for ceremonial and religious wear, to its modern uses today? Songket has long been considered a dying industry. From its traditional application as formal wear, there is a dwindling audience as modern alternatives are presented into the market. Weavers themselves then become a diminishing breed as they do not see any prospect in this industry. Fortunately, society is becoming aware of the threat of decline, and an entire generation of new designers, retailers and consumers have emerged to produce and consume songket items for contemporary applications. Songket has taken on a new life. 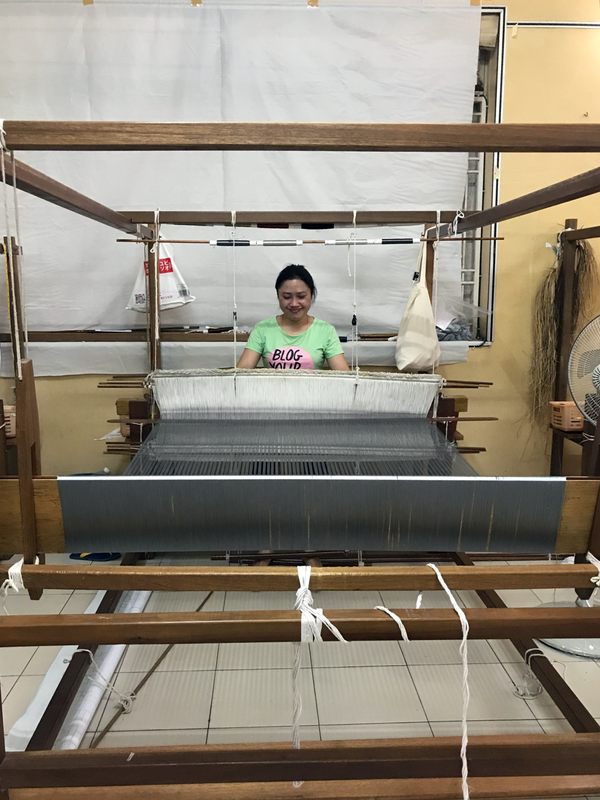 What motivates Tanoti to continue songket weaving, despite its laborious process and challenges? Tanoti is passionate in our mission to save our heritage craft from extinction as we believe it represents our history and our culture. The ladies who work with us are artisans in songket weaving, and whilst they have interest to practise this craft as a career, Tanoti will continue to provide them work so that they can generate viable income for themselves. Can you describe the significance behind the songket commissioned for The Capitol Kempinski Hotel Singapore? The Capitol Kempinski Hotel today is the embodiment of Singapore's glorious colonial past, influenced by 'orbits' of Peranakan, Malay and Chinese cultures. Tanoti created a bespoke songket artwork for Kempinski to represent these multicultural influences in Singapore. Moving forward, Singapore is open to welcoming new elements of diversity into its cultural universe. Completed songket artwork hung at the lobby lounge, mirroring the art deco design of the hotel and the multicultural spirit of Singapore. The songket artwork can be found at the lobby lounge of The Capitol Kempinski Hotel, Singapore. We would like to once again thank Jacqueline for taking her time for this interview.